Just Genius or Just Trash? Cheers, literal internet-explorer (because excessive gallantry aside; how have you stumbled here?) 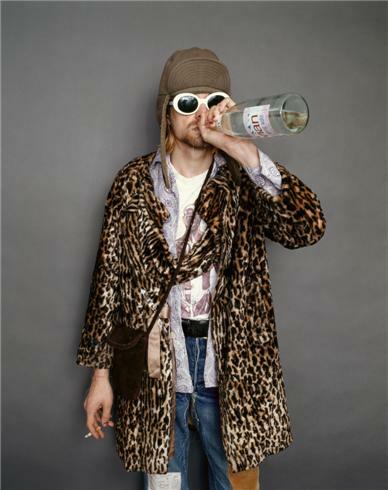 Have you marvelled enough at the afore-depicted picture of Kurt Cobain? To him and not only him is due a sudden revelation. Within the crevice of the jean I purposefully ripped yesterday, lies a fascinating concept, one I’ve subconsciously set up a cult for in my closet (not-metaphorically.) At hand, and yet to be revealed, albeit not new at all, is a fundamental concept I woe to radically follow. Providentially, I was not alone in my philosophies, and my partner in crime was as eager to share our disposition as was I. What we covet to broadcast, in a most minimalistic, thorough way we can muster, is a conviction of not only style (or fashion, if you may,) nor only music, art, lifestyle. Through trial and error and a divine intervention of discovering Patti Smith, we’ve accumulated somewhat of a directory for the still intriguingly secretive concept, and here it is. Everything settles into a concept of imperfection, effortlessness and intellectualism. A Neo-Renaissance by means of sunglasses indoors, music and poetry. Overwhelmed as we were with all this cultural vomit, a rad idea struck us up, and Genius Trash was born.